Canadians at the 2015 March for Life in Washington, D.C. When I saw an announcement on my Facebook feed about this year’s March for Life in Washington, D.C., I knew I had to go. Even though I live in Montreal and the plane for D.C. was departing from Toronto, I didn’t want to miss out on this great oppotunity, so I made it work. On our first day in Washington, D.C., it snowed 2 cm and it paralyzed the city completely. So apparently we brought winter with us, as the locals joked. But it all melted the next morning so we could enjoy a snowless day in the middle of January, which for Canadians is pretty unusual. That same day, we attended the March for Life Youth Rally with interesting speakers from the prolife movement. What stood out most for me was one of the speakers mentioning that studies have shown that more women are pro-life than men. This was later also mentioned by Cardinal Seán P. O’Malley during his homily at the March for Life Vigil Mass, which we attended. Apparently, there were over 25,000 people who attended that mass. I don’t know the exact number, but I wouldn’t be surprised if it was even more, given that the entire National Shrine (which is absolutely huge!) was completely full. With no more places to sit, people would stand on the sides and in the adjoining chapels, as well as underground where our group had to go due to a lack of space. Fortunately, there were some television screens set up there so that we could watch and participate in the mass. This was quite an uplifting experience: never before had I witnessed so many people praying together. The fact that so few men take a pro-life stance gave me a lot to think about. It is not just a women’s issue, as we are consistently told every time we bring up abortion in a conversation. It is crucial that we take a stand for what is right! Just like bringing a new life into this world requires the involvement of both a man and a woman, both should take equal responsibility for their unborn child. It is a sad state of affairs that in today’s society men are so often afraid to take responsibility and instead would prefer to run away from it and “get rid of the problem”. A child is not a “problem” to be solved; it is a responsibility and a gift to be cherished. Yes, it takes courage and self-sacrifice, but after all, that is the mark of a true man! The next day in the morning, after the rally, our group of Canadians set up banners in front of the Canadian Embassy. The embassy was on the street where the march was passing through and so everyone could see us supporting our American brothers and sisters in their fight for life as well as protesting against the unjust abortion laws in Canada (which are a lot worse than in the USA due to the lack of any restrictions). I was surprised how well we were received and how little negative reactions there were from the general public. According to the Vatican Radio, there were as many as half a million people at the march, although some of the main-stream media would downplay it to about 200,000 people. Whatever the true number was, the crowd seemed endless. Standing in front of the Canadian Embassy, we saw multitudes of people passing by us every minute. Counting them would likely result in quite a headache! I saw the flags of nearly every US state (yes, I recognized most of them, because flags are an interest of mine) and banners of nearly every Catholic organization I have heard of, as well as of hundreds of different parishes and schools. Of course there were also a lot of representatives of other Christian denominations as well as adherents of other faiths and secular movements. It was wonderful and inspiring to see how many young people stood up for the voiceless unborn children who have been denied human rights. Such courage and enthusiasm gives a lot of hope and shows the world that every life is sacred and needs to be protected. 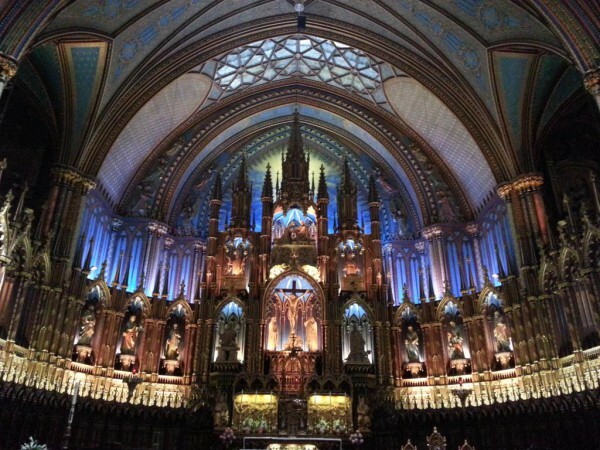 I will be encouraging my friends to attend next year’s march, as well as the Canadian National March for Life in Ottawa this May, because faith requires action! 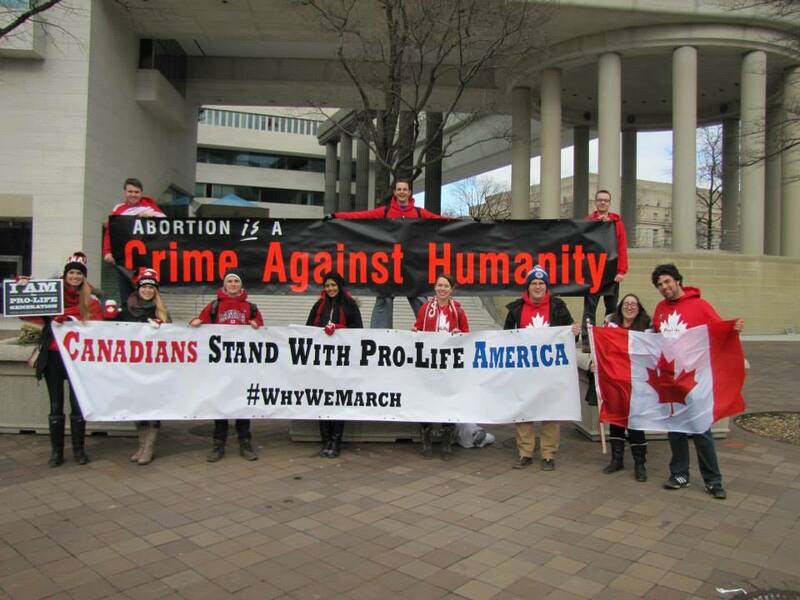 Continue reading Canadians at the 2015 March for Life in Washington, D.C.
Posted on January 30, 2015 October 31, 2018 Categories Faith, TravelTags Abortion, March for Life, North America, ProLife, USA, Washington D.C.15 Comments on Canadians at the 2015 March for Life in Washington, D.C.